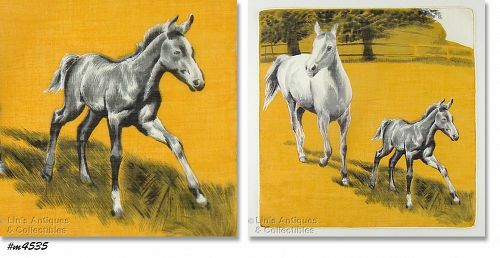 Beautiful color shading and attention to detail on this hanky of a mare following her colt across a field! 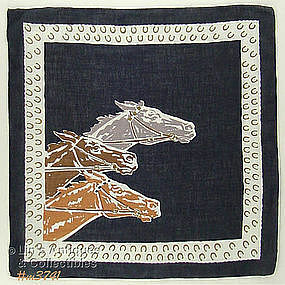 Hanky measures 12 “ x 12 “ and is in excellent condition. This hanky would be beautiful framed! I’ve grouped these Shawnee figurines in one listing but they are priced individually. Shawnee mini animal figurines are rather difficult to find – these have been in my collection for many years. 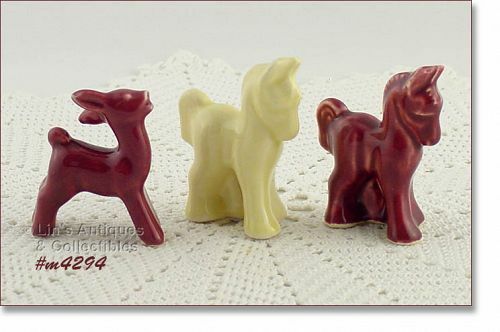 There is a burgundy color pony, a yellow color pony, and a burgundy color deer. The little ponies measure 2 5/8” tall (at tallest) and the little deer is 2 ½” tall (at tallest). Wow – this is a beauty! 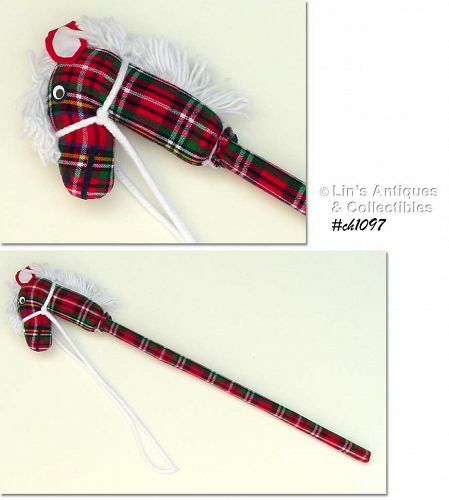 Hanky has 3 racing horses (appears that one is going to win by a nose) and has horseshoes all around the border. It measures 15” x 15 ¼” and is in excellent condition. 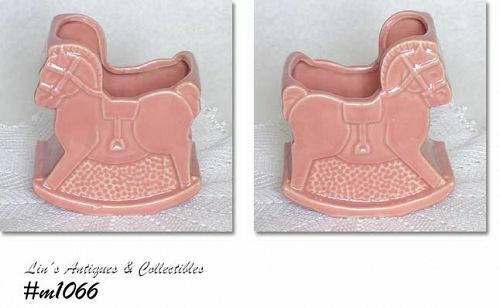 This listing has a beautiful Shawnee rocking horse planter in a beautiful peach color! Planter measures 5 1/2" long, 3 1/2" wide, and 5 3/4" tall (at tallest). 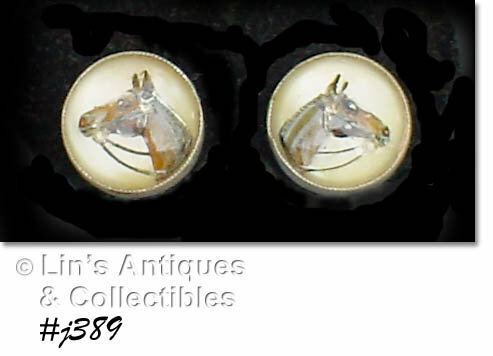 It is in excellent condition -- only evidence of "use" is a teeny 1/16" dot size ding on front edge (at start of mane) -- not detrimental to use or appearance and is not worthy of mention! This is a super planter and an excellent baby shower gift. 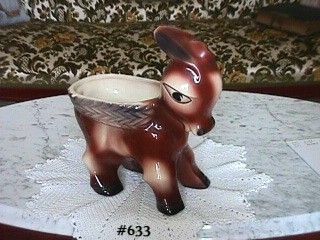 This is a really cute McCoy planter -- it's shaped like a donkey! It is a large size planter; measures 10" tall from foot to ears, 8 1/2" long, and 4 1/4" wide! Planter was produced in 1972 and it is in wonderful condition. It has a super teeny ding on underneath part of 1 foot and has light crazing -- that's it!! This is a beautiful unmarked McCoy piece that has become difficult to find -- especially in this condition!